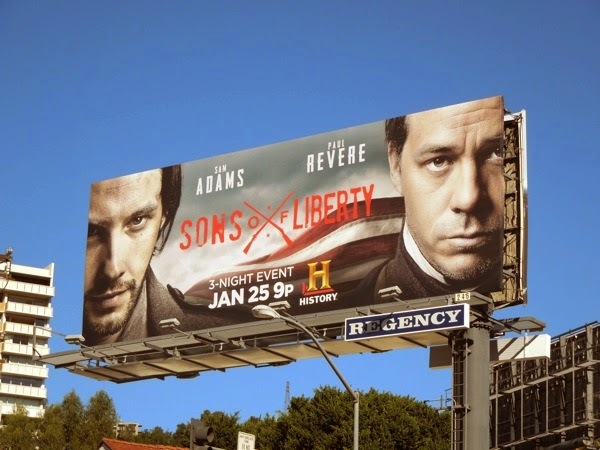 Get ready to start the New Year with a revolution, as History brings us the three-night, six-hour event, Sons of Liberty. 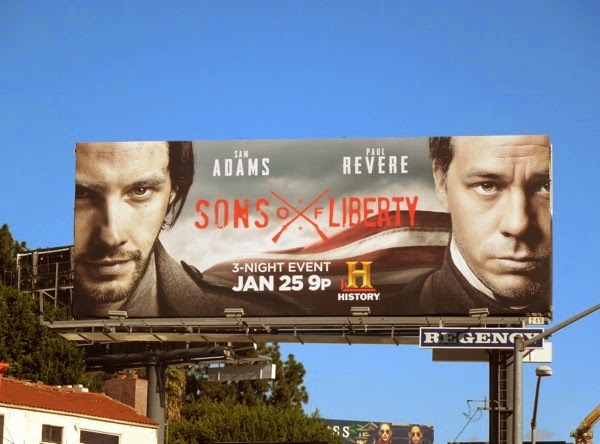 The original mini-series will tell the rebellious story from 1773's Boston Tea Party through to the Declaration of Independence, with Ben Barnes starring as 'Sam Adams' and Michael Raymond-James as 'Paul Revere', who along with 'John Adams', 'John Hancock' and 'Dr. Joseph Warren' secretly banded together to spark a revolution to overthrow the British rule of the American Colonies. 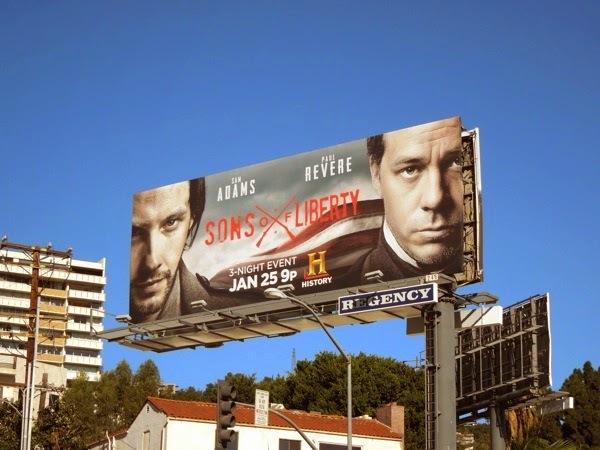 This patriotic Sons of Liberty billboard was snapped along the Sunset Strip in West Hollywood on December 13, 2014. 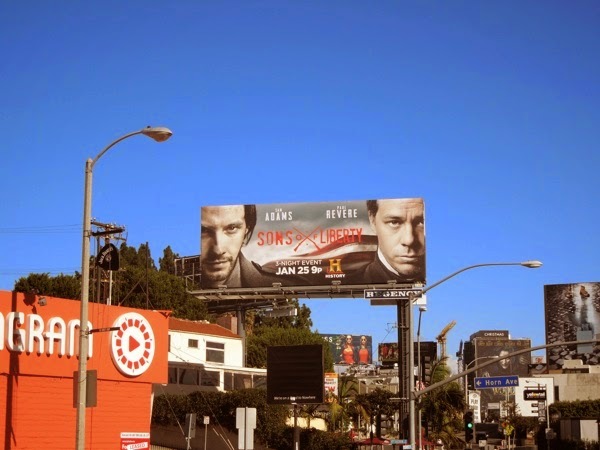 If you like the idea of this historical mini-series, then you should also check out these billboards for AMC's Turn, also set during America's Revolutionary War about America's first spy ring. 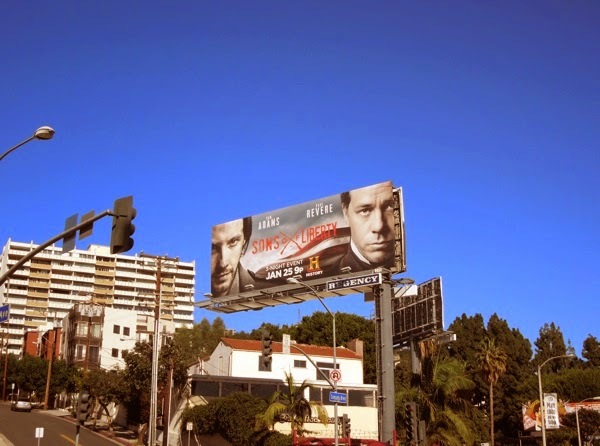 Plus if you're a fan of Michael Raymond-James, be sure to also enjoy these billboards for his short-lived Terriers TV show.